Charles Grayson Allen, 89, died Saturday, December 1, 2018. Memorial services will be 2:00 pm Wednesday at Trinity Fellowship Church – Student Ministry Center, 5000 Hollywood Rd. with Pastor Kyle Wilkinson and Pastor John Love officiating. 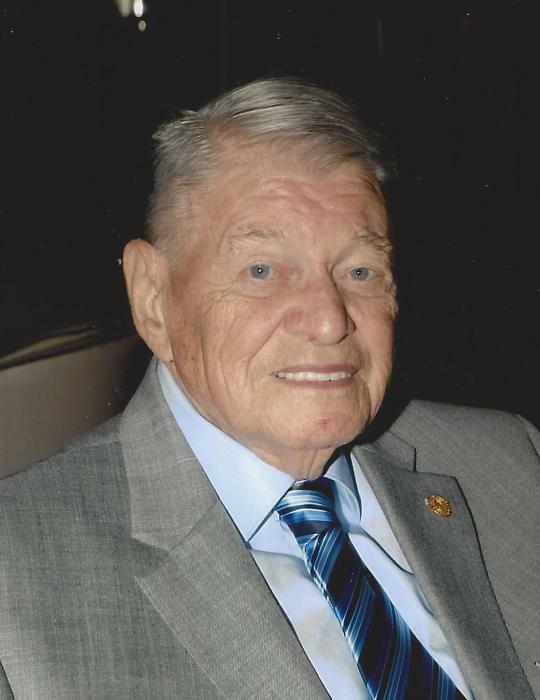 The family will receive friends from 5:00-7:00 pm Tuesday at Cox Funeral Home, 4180 Canyon Dr. Charles was born July 3, 1929 in Colorado Springs, Colorado to Ralph and Harriet Allen. He proudly served in the U.S. Air Force during the Korean War, as a photographer for air reconnaissance over North Korea. He was later stationed at a base in France where he led a Crash Crew. He married Dolores Hashberger in 1956 in Clarinda, Iowa. This beautiful relationship celebrated 62 years last July. Charles and Dolores raised a family of three children, seven grandchildren, and five great-grandchildren, with one on the way in March. He loved all of these lives, which he considered to be his heritage. Charles was an active member of Trinity Fellowship Church. He led and hosted a Life Group in the home for many years, and was part of the Altar Ministry. It was always a blessing for him to pray for people and invest in their lives. He loved Jesus and loved to share Him. His high points of each week was his church service, the SALT class and the Life Group. Charles had spent 15 years and 7000 hours volunteering at the VA Hospital serving coffee in the lobby and he was privileged to be able to pray with many and led three men to Jesus which was a blessing to him. He will be missed by family and friends but he has left us with many memories and we all know that he is with Jesus and enjoying every moment. He was preceded in death by his parents; a sister, Doralee Cleland; and a daughter-in-law, Dee Allen. Survivors include his wife, Dolores Allen; two sons, Curtis Allen and wife Lilia and Amarillo, and Richard Allen of Appleton, WI; a daughter, Michelle Hastie and husband Todd of Nampa,, ID; two sisters, Joann Teegarden and husband Walt of Colorado, and Janice Cugner of California; seven grandchildren; and five great-grandchildren, with one on the way. The family suggests memorial donations be made to Trinity Fellowship Church- Senior Adult Ministry, 5000 Hollywood Rd. Amarillo, TX 79118.